7:51pm: One Red Sox official has called the ESPNBoston story "false," tweets Edes. According to Edes, however, his source was describing scenarios he'd been told by another Sox official. GM Theo Epstein also disputed the report, writes John Tomase of the Boston Herald. 5:49pm: The Red Sox moved a little closer to finalizing their Opening Day roster today by reassigning a number of players to minor league camp. Before April 1st rolls around, however, the club appears open to making more significant roster moves. Gordon Edes of ESPNBoston reports that the Red Sox "have let it be known" they'll listen to trade offers on a number of players expected to start the year with the team. According to Edes' source, Daisuke Matsuzaka, Tim Wakefield, Mike Cameron, Darnell McDonald, and Marco Scutaro would be available in the right deal. Some of those players would likely draw more interest than others. Matsuzaka, for instance, in addition to having a full no-trade clause, is owed $10MM this season and has struggled so far this spring. So while Edes writes that the Red Sox would move the right-hander if they could "add to their young catching inventory," finding a deal that works could be tricky. Cameron and Scutaro have been identified as potential trade candidates previously this winter, given Boston's depth at their respective positions. As for Wakefield, Edes' source says the 44-year-old is "on the bubble" and could be available for a left-handed reliever. Though his 2011 role with the Sox is up in the air, the knuckleballer said earlier this week that he can't imagine playing anywhere besides Boston. Ill take Scutaro on the Phillies. Could make up for the lose of Chase Utley a bit. Plus he is in the final year of his contract I believe. According to b-r.com, Suctaro was worth 2.2 WAR for the Sox last year at $5M, or $2.25M per win. Wilson Valdez was worth 1.7 WAR at a salary of $381K, or $225K per win despite only playing half of the season. Therefore, Valdez on a WAR basis is at least 10x’s more of a value at his price than Scutaro is at his. In layman’s terms, no thanks. Ok, since my previous comment apparently had to be approved by a moderator first, I’ll summarize. I would much rather take Wilson Valdez’s 1.7 WAR at $400K over Scutaro’s 2.2 WAR at $5M. By WAR metrics Valdez is 10x’s the value on a $ per WAR basis. You go ahead and take Valdez’s career .240/.289/.326. Smart. On which planet is the difference between Wilson Valdez and Marco Scutaro’s worth $5.5M? I get it, you don’t like the WAR/$ analysis. But you better do better than quoting Valdez slash line before I think about adding $6M for a guy who hasn’t played a meaningful 2B since 2004.
its not about that when you are trying to win. It’s just who is better. If the want to win why wouldnt they take a better player? That’s fine, I agree that Scutaro is the better player. Now as soon as the Sox are wiling to eat about $5M of the $6M Scutaro is owed in 2011, I’m sure Amaro will be more than happy to put together a mutually beneficial deal. Otherwise, I’ll stick with Valdez. Yup and good luck finding a taker for Blanton cuz by you’re logic the Phils are gonna have to eat about 14 of the 16 remaining on his contract too cuz he sux! I’m going to go out on a limb and say Wake won’t be dealt. He says he can’t imagine playing anywhere else and he has 10-5 rights. You beat me to the 10-5 rights. I doubt he approves to leave. Not to mention I’d rather have him as the #5 over Matsuzaka anyway. No other reason? In the AL Wake can throw a masterpiece every 3 games or so and give just as many innings as Matsuzaka can every time out. Matsuzaka needs to be in the NL anyway..He moves over there and his game improves vastly.. A Blanton type x2 stuff wise. Wake was baaaaaddd all last season and is looking bad this spring. I’ll take Dice-K over Wake, right now, any day of the week . Meh, I’d take off Wakefield and replace him with Lowell. How is it a hometown discount at age 44? Theo, I will trade you this awesome candy bar for Dice K. But you have to pay off his contract of course. I don’t think they will accept that. What are you going to have him do? Mow your lawn? Mow my lawn and have him pitch to the local beer league. On days that Papelbon can’t close, Dice-K can start warming up in the 4th inning so he can be the one to walk the park full in the 9th. Utley isnt out or lost yet, they announced he has gotten a lil better today. And Amaro said this regarding that baby step….. It doesnt matter how he feels today, the condition he has is tricky. One day you feel great and then the next day it can hurt more than ever before and vice versa…or at least this is how it was explained on the radio for the past week. Why are Wake and McDonald even mentioned here? Wake will retire if he doesn’t make the team and McDonald won’t fetch equal value to what he brings to the sox and he’s cheap! I’ve heard a rumor that the Angels like to take on big contracts..
Gee, YA THINK??? A 35 year old SS who’s had one really good year and had a wOBA of .319 last year. A 38 year old OF coming off a ton of injuries with a fairly large contract for this year. It’s tough to tell if age, the move to the AL East, or injuries was the main culprit but I’m guessing it was a mix of all three. A 44 year old injury plagued pitcher who might even retire if he was traded and is probably a swingman at best at this point in his career. And last but not least an injury plauged SP with over $20MM left on his deal with control issues. I bet the Yankees would trade AJ Burnett and the Giants would trade Barry Zito too. How is this news? They didn’t come out and say they’d trade Lester or Pedroia or something. Some of their worst contracts and players without defined jobs or players being pushed out by younger better players are available in the right trade…kinda just like every other MLB team. How completely unfunny of you. um no? guess you’re not so hot at being insightful yourself. it wasn’t a bash on the red sox. Every team has players they’d like to deal…that was the entire point of what I said. you’re pretty sensitive. Red Sox fan? figures. See? I can make random guesses and say vague unfunny things too. Series of events: Red Sox Front office says some players are available, openly. MLBTR then forwards report for all to read (as they do with every other story, no matter how redundant). You come on and point out its redundancy (which in itself is redundant). Your comment is as useful to everyone else as the original post was to you. Your avatar is still gay. Yeah, I made it when I was 15 and Yahoo won’t let me change it. To each his own my friend….to each his own. You had a point until Dice-K. “Injury plauged”? Not quite. He’s only had one real injury and that was a pulled groin muscle. I’d go as far as to call Beckett “injury plauged” but not Dice-K.
Bosox are throwing out the trash lol, none of these guys are worth much! well that makes no sense at all! Why would anyone try to get rid of trash? We should keep them! Dice-K is worth a #2 spot in any NL rotation except the Phillies. Yeah, he’s not worth much. Matsuzaka’s starts are always painfully long and his walk rate drives me insane but he’s a decent fifth starter. The only problem with that is Daisuke isn’t paid like a 5th starter. Dice-K is being paid $10 M this year and next year. That’s not that unreasonable. People think he’s expensive because of the posting fee. Although his perks are quite jaw dropping. Wow. It’s true. He gets alot of heat but he’s really not a bad pitcher, especially for the 5 spot. Painful to watch, yes. But he gets the job done…eventually. if they really want a good catching prospect, Cardinals Bryan Anderson (former top 100 prospect, still very young, good minor league numbers minus injury filled 2009) could probably be had with Molina at the mlb level in front of him and Tony Cruz having an excellent AFL, ST, and 2010 season possibly tugging from behind. Not sure i would want Matsuzaka at that price, or even half that price though. I think the Nationals are the best fit for Dice-K… only problem is getting him to approve the deal. Scutaro to the Cubs. He can play 2b since they stink, stink, stink, at that position and we give them Silva and cash. yes, i’m sure the red sox are lining up to trade their trash at a position of need for trash with no purpose. Well, you know what they say…garbage in, garbage out! Wow. This guy cost 100 million dollars and the genius GM is putting him out on the sidewalk. Wow. All I see is “Oh man we spent too much money on 2 guys, we gotta ditch anyone that isn’t that good that we overpaid in the past”. Dice K would approve a trade to Seattle to play with Ichiro, the Red Sox can’t expect much in return if the Mariners take on his salary, but I am sure Jack Z and Theo can work something out, Matzuzaka to Seattle makes too much sense. Dice gets traded….Felix Doubront the new number 5 starter? As a Jay fan I’d take Scutaro back, he did well for us here and I’d rather have him leading off than rajai davis. Put him at 3b and move bautista back to RF. so Jerolomann and Jason Frasor ? Scutaro’s coming off of a shoulder problem last year that moved him to second base for the last month or so. I’m not sure third is a good spot for him. but his shoulder problems should be resolved? he’s obviously not going to play 2B for the Sox this year, so if he’s good enough to play SS, sliding over shouldn’t be too taxing on his arm. Considering he’s my team’s starting shortstop, I’m hoping he’s okay, but they never did surgery, they just waited for it to heal. We’ll see, but I doubt the extra strain of moving to third would help him any. I think your underestimating what Davis will be able to do in the leadoff spot in Toronto’s lineup as opposed to Oaklands, i think the Davis , Escobar combo at the top of the order will be lethal for the Jays this year. 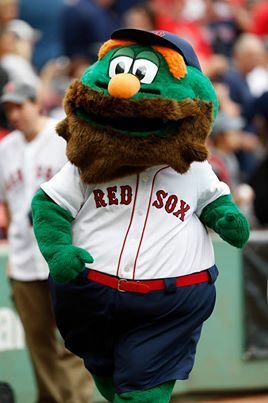 Yeah, the red sox are in big trouble.